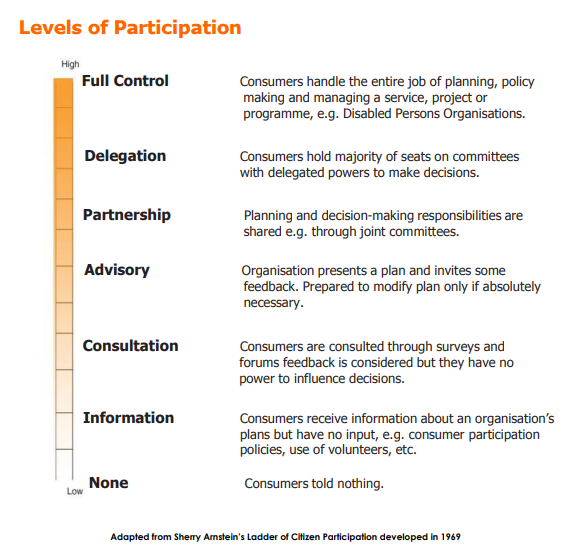 Levels of Participation: Which Level Are You On? 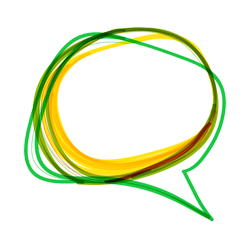 Consumer participation occurs at different levels within organisations. The following table is a useful tool which can be used to measure and reflect on the different levels of participation within your organisation. 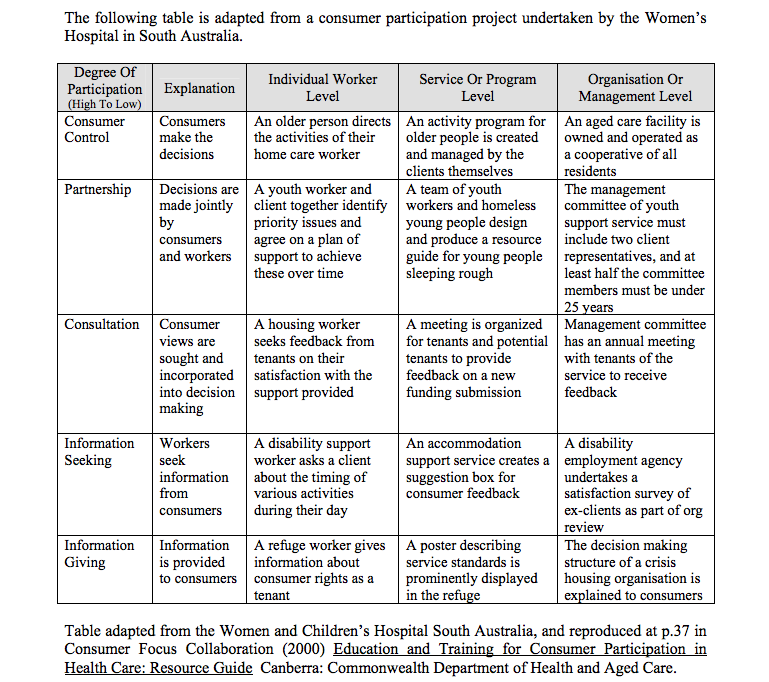 The following table appears in the Queensland University of Technology’s Developing Your Organisation (2006) and provides real life examples of how different degrees of consumer participation relates to the work of your organisation on all levels of work.